In Latin America’s largest country, journalists, legislators, courts, street gangs, and political factions are waging a back-and-forth war over the status of the freedom of the press. Brazil has experienced a recent spate of threats and violence against journalists, including the slaying of seven journalists in the first half of 2012 alone. In terms of the freedom of the press, one human rights organization places Brazil 91st of 197 countries in the world, and 21st of 35 countries in the Americas. While Brazil is not yet the worst setting for the independent press, current trends suggest that its press freedoms will be increasingly challenged in the months and years to come. Brazilian journalists are facing disheartening violence and censorship from a variety of sources. Some of these attacks are gang-related, such as on August 30, when drug traffickers fired at a TV news van in an effort to assert their dominance over a neighborhood in Salvador, the capital of the Brazilian state of Bahai. Other violations against the free press have come from the army. Last year, military units ordered reporters to stop filming as they cracked down on delinquency in the impoverished favelas surrounding Rio de Janiero in preparation for the upcoming World Cup and Olympics. In many cases, censorship is politically motivated. For example, in the run-up to Brazil’s municipal elections on October 8 and 28, reporters investigating political corruption have been frequently threatened with physical violence. On September 4 and 5, supporters of a mayoral candidate bought and destroyed every single newspaper that accused the candidate of buying votes. Soon after, on September 13, a radio station known to be opposed to an incumbent mayor was bombed in the middle of the night, effectively taking the station off of the air. In a disturbing scene on September 24, the speaker at a mayoral campaign rally incited a mob to savagely kick and beat a reporter from Record News. When Dilma Rousseff was elected as President in 2010, she promised that her government would guarantee freedom of expression in Brazil. This assurance did not carry much weight at the time given her party’s frequent attacks on media personnel during the campaign. The Worker’s Party (PT), including Rousseff’s predecessor Luiz Inácio Lula da Silva, repeatedly accused the media of acting as an opposition force by bringing forth false corruption scandals at strategic moments. In her acceptance speech, Rousseff said “I don’t deny that sometimes [the media] spread things that left me sad… But we are lovers of freedom.” President Rousseff, like a number of her predecessors, has done little to combat violence against journalists. A key indicator of Rousseff’s skepticism toward protection of the press was Brazil’s initial objection to the U.N. Inter-Agency Plan of Action for the Safety of Journalists and the Issue of Impunity in March, 2012. Thankfully, the Brazilian government changed its position and supported the plan after loud protests by local and international press freedom groups, but its priorities still remain questionable. An analysis of key court cases in Brazil reveals an inconsistency between the Supreme Court’s theoretical support of press freedom and its tolerance of censorship in individual cases. Brazil’s 1988 Constitution supposedly protects the freedom of the press, with reasonable caveats regarding libel, slander, and privacy. For the most part, the Supreme Court has faithfully upheld the Constitution. In 2009, it repealed a 1967 Press Law which had allowed censorship, and in 2010, it reversed a 1999 law which had criminalized the mockery of politicians during election periods. However, while these rulings are commendable, they have not changed the general acceptance of censorship within the court system as a whole. Lower courts and electoral tribunals have continued to rule against journalists in defamation suits in order to prevent them from publishing critical reports. In a prominent 2009 case, the Federal District Court of Justice in Brasília prohibited a daily newspaper from publishing a story that uncovered a corruption scandal involving the son of former President José Sarney. Every time an election season rolls around, a new series of defamation cases wind their way through the courts as a way to bury scandalous journalist accounts. Within the last few years, the internet has become a new arena for the censorship debate. In early September, the website “Jornal Oeste” was forbidden from publishing articles about an election in Cáceres because the Election Court considered it to be biased; additionally, a blogger preaching popular checks on public administration claimed that the mayor of Curtiba filed a lawsuit against his website in an attempt to shut it down. According to a recent report by Google, it received 194 Content Removal Requests from the Brazilian government in the second half of 2011, among the highest number of requests per country in the world. Legislation regulating online content in Brazil has never been passed, but two bills are in discussion: one that infringes upon internet freedom and one that promotes it. First, Bill 84/99, sponsored by Representative Eduardo Azeredo, would criminalize common internet activities such as file-sharing, peer-to-peer communications, and the fair use of copyrighted works. Critics are worried that the government would use the new law to restrict internet openness and to censor outspoken political commentators. 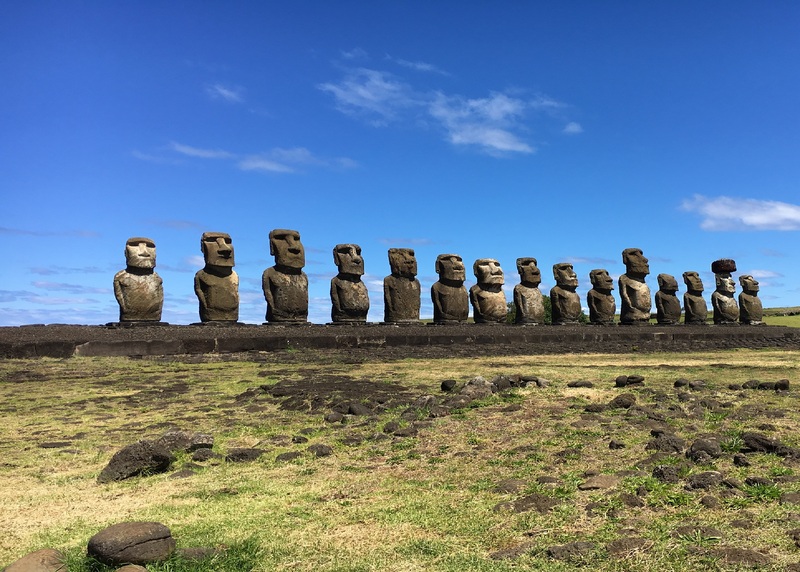 The proposed law has been circulating in the Brazilian legislature for the past several years, but it has thankfully not yet been approved. In a democracy, a civil code defining an internet bill of rights should precede a criminal code like Bill 84/99. Some legislators have realized this and wish to protect, rather than restrict, the internet news media. A proposed internet civil code, known as the Marco Civil da Internet, was written in a collaborative effort between lawmakers, academic scholars, civil society groups, and internet users. According to Global Voices Advocacy, a free speech group, the Marco Civil “establishes a clear set of rights and responsibilities for users, sets strong net neutrality principles, and shields Internet intermediaries from liability for illegal content posted by users.” A strong civil code would ensure the protection of freedom of expression and the press for Brazil’s internet. However, the passage of the Marco Civil is not a guarantee. Brazil’s Congress was supposed to vote on the civil code on September 19, but it has postponed its decision for the third time since June. In 2009, the Supreme Court of Brazil overturned a law that required all journalists to have a journalism degree, a ruling consistent with the tenets of the American Convention on Human Rights. However, supporters of the law are attempting to circumvent the Supreme Court by passing a constitutional amendment that reinstates the journalism degree requirement. The Senate approved the amendment on August 7, and it is now being considered by the Chamber of Deputies, with the potential to be sent back to the Senate if it is reworded. The imposition of the degree requirement is interpreted as an attack on the free press by The Inter American Press Association. The degree requirement could serve to further homogenize the news by systematically cutting out all reporters who are outside of the monolithic media structure. Despite these dangers, there is significant support for the degree requirement, even among journalists. In fact, Brazil’s National Federation of Journalists is one of its biggest advocates. They feel that limiting the press corps to professional journalists will ensure a higher quality of news coverage. Of course, it’s not surprising that already-established journalists want to protect their positions by ensuring that everyone must go through the same training that they did. The Senate’s 60 to 4 approval leads one to believe that an amendment will eventually pass. If it does, it could be a major setback for the openness and variance of Brazilian journalism. The recent increase in acts of censorship of and violence against journalists in Brazil underscores a disturbing trend of government apathy. While Brazilian journalists are being threatened, beaten, and even killed, Brazil’s leaders offer their condolences but do little to rectify the problem, sometimes even contributing to it. In more than 70 percent of the murders of journalists in Brazil in the past 20 years, the killer walked away without a jail sentence. This troubling level of impunity could lead to self-censorship by frightened reporters, and demonstrates just how little has been done to protect journalists. Brazil’s press is still relatively free, especially compared to some of its neighbors, but Brazilian supporters of press freedom should definitely begin sounding the alarm. Mazotte, Natalia. “Brazil among most dangerous countries for journalists during first half of 2012, research shows.” August 13, 2012. http://knightcenter.utexas.edu/blog/00-11054-brazil-among-most-dangerous-countries-journalists-during-first-half-2012-research-show. Karlekar, Karin and Jennifer Dunham. “Press Freedom in 2011: Breakthroughs and Pushback in the Middle East.” Freedom House. 2012.http://www.freedomhouse.org/sites/default/files/FOTP%202012%20Booklet.pdf. Fraga, Isabela. 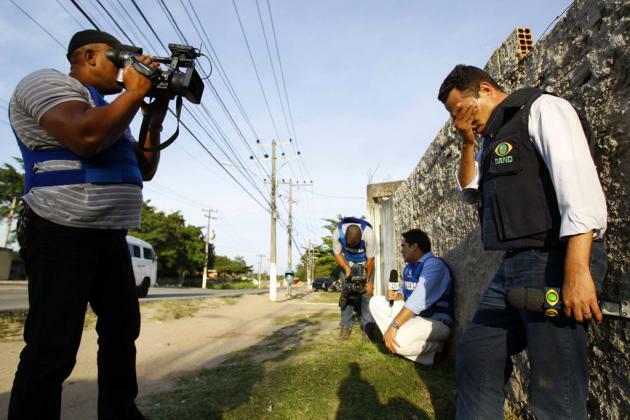 “Gunmen fire on TV news van in Brazil.” Journalism in the Americas Blog. Knight Center for Journalism in the Americas: The University of Texas at Austin. September 4, 2012. http://knightcenter.utexas.edu/blog/00-11282-gunmen-fire-tv-news-van-brazil. “Favela Reporters Censored by Army, Wave of Attacks on Regional Journalists.” Reporters Without Borders. October 19, 2011. http://en.rsf.org/brazil-favela-reporters-censored-by-army-19-10-2011,41238.html. Fraga, Isabela. “Newspaper editions accusing Brazilian mayoral candidate of vote buying vanish from newsstands.” Journalism in the Americas Blog. Knight Center for Journalism in the Americas: The University of Texas at Austin. http://knightcenter.utexas.edu/blog/00-11391-newspaper-editions-accusing-brazilian-mayoral-candidate-vote-buying-vanish-newsstands. “Attack on Radio Station a Worrying Development in Run-up to Local Elections.” Reporters Without Borders. September 17, 2012. http://en.rsf.org/brazil-attack-on-radio-station-a-worrying-17-09-2012,43395.html. “Em Estreito, Jornalista é Agredido Durante Comício da Candidata Verbena Macedo.” Tocnoticias. September 24, 2012. http://www.tocnoticias.com.br/ler_noticia.php?idnoticia=2471. “Greenslade, Roy. “Press Freedom Pledge by Brazil’s New President.” Greenslade Blog. The Guardian. November 2, 2010. http://www.guardian.co.uk/media/greenslade/2010/nov/02/press-freedom-dilma-rousseff. Witchel, Elisabeth. “Brazil, Pakistan, India Fail Test on Journalism Murders.” Committee to Protect Journalists. 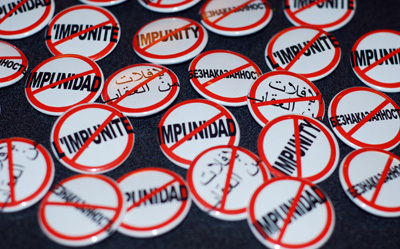 April 17, 2012. http://cpj.org/blog/2012/04/brazil-pakistan-india-fail-impunity-journalist-murders.php. Constitution of Brazil. October 5, 1988. http://www.unhcr.org/refworld/docid/4c4820bf2.html. “Brazil: Supreme Court Strikes Down Press Law. Article 19. May 5, 2009. http://www.article19.org/data/files/pdfs/press/brazil-supreme-court-strikes-down-press-law.pdf. “Freedom of the Press: Brazil.” Freedom House. 2011. Accessed October 1, 2012. http://www.freedomhouse.org/report/freedom-press/2011/brazil. “World Report 2012: Brazil.” Human Rights Watch. http://www.hrw.org/world-report-2012/world-report-2012-brazil. Mazotte, Natalia. “Judicial censorship of journalists and bloggers on the rise in Brazil as municipal elections approach.” September 9, 2012. Journalism in the Americas Blog. Knight Center for Journalism in the Americas: The University of Texas at Austin. http://knightcenter.utexas.edu/blog/00-11301-zd-trans-judicial-censorship-journalists-and-bloggers-rise-brazil-municipal-elections-. “Google Tranparency Report: Brazil.” Google. Accessed October 1, 2012. http://www.google.com/transparencyreport/removals/government/BR/?p=2011-12. Biddle, Ellery. “Brazil: Cybercrime Law Could Restrict Fundamental Rights, Internet Openness.” Global Voices Advocacy. Global Voices Online. November 8, 2011.http://advocacy.globalvoicesonline.org/2011/11/08/brazil-cybercrime-law-could-restrict-fundamental-rights-internet-openness/. Biddle, Ellery. “Brazil: Congress to vote on ‘Bill of Rights’ for Internet Users.” Global Voices Advocacy. Global Voices Online. August 3, 2012. http://advocacy.globalvoicesonline.org/2012/08/03/brazil-congress-to-vote-on-bill-of-rights-for-internet-users/. Moreira, Sara. 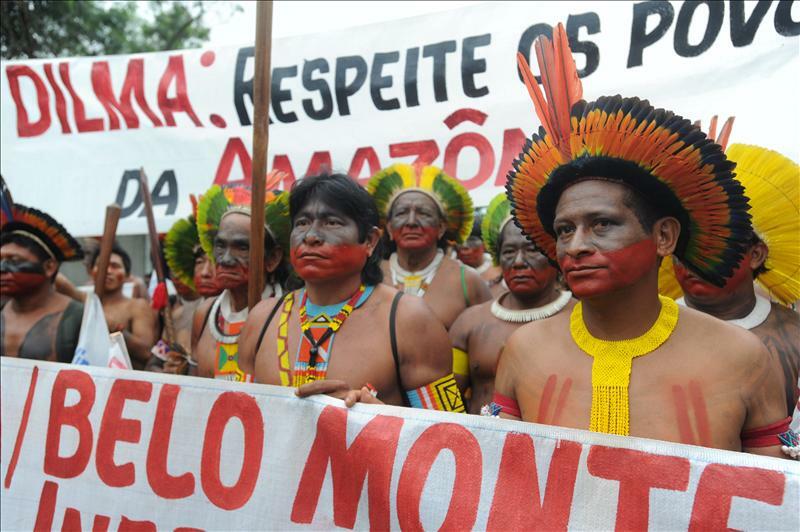 “Brazil: Internet Bill of Rights Vote Postponed Again.” Global Voices English. Global Voices Online. September 19, 2012. http://globalvoicesonline.org/2012/09/19/brazil-marcocivil-internet-bill-rights-vote-postponed/. Correa, Felipe. “Should Journalists Need a Diploma?” Free Speech Debate. August 12, 2012. http://freespeechdebate.com/en/case/should-journalists-need-a-diploma/. Lemos, Iara. “Senado aprova exigencia de diploma para jornalistas.” G1 Política. August 7, 2012. “IAPA hails repeal of university degree requirement in Brazil, welcomes Mexico Supreme Court decision to overturn special safeguards for public officials.” Inter American Press Association. Mazotte, Natalia. 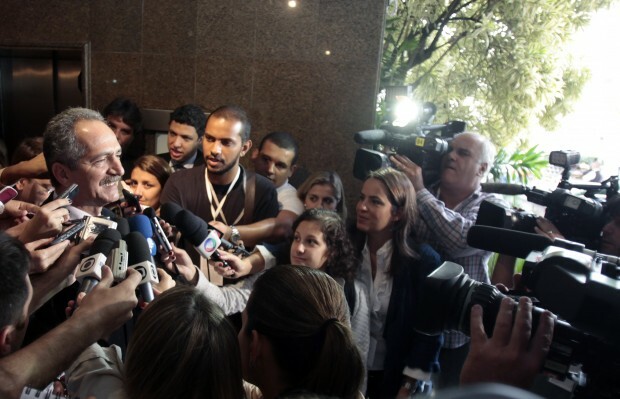 “Constitutional amendment to require degree to practice journalism moves forward in Brazil after Senate vote.” Journalism in the Americas Blog. Knight Center for Journalism in the Americas: The University of Texas at Austin. http://knightcenter.utexas.edu/blog/00-11005-constitutional-amendment-require-degree-practice-journalism-moves-forward-brazil-after. “Brazil.” Committee to Protect Journalists. Accessed October 1, 2012. http://cpj.org/americas/brazil/.